The type of electronic payment method, as well as the type of credit card, will determine the rate you pay since the interchange cost varies between MasterCard, Visa, American Express, ACH Payments, etc. 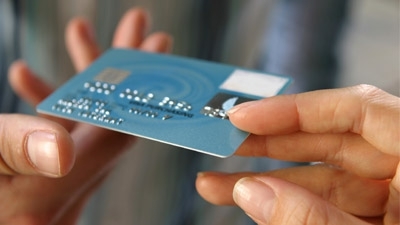 Whether the card is a premium card or standard may also affect the rate. Fees will also vary depending on whether the card was swiped at a brick and mortar store, or whether it was entered online. Ask your merchant processor salesperson for more than just a standard discount rate prior to signing any contract, since they may just quote you the cheapest rate available without disclosing what comprises the fees. An important note is to read the terms and conditions of any contract before signing to ensure it matches what the salesperson quoted you. Sure, these legal documents are arduous, but they are important enough to warrant your attention. Tackle it in the morning when you’re more likely to be able to process complex language, and use the CTRL F feature in a PDF to quickly identify clauses that discuss “fees” or “surcharges.” If anything is confusing or looks fishy, ask questions. Some merchant card processors will ask you to rent or lease credit card processing equipment and integrate this fee into your other charges. While this one-stop-shop solution may be a good idea for some small businesses, you may likely find that buying a credit card terminal will be less expensive in the long run. The average credit card processing machine is about $400, which will be cheaper than a typical three-year contract charging $20–30 a month for leasing equipment. They say “Cash is King” in business, and never is this more important than for a small business. So knowing when you’ll have access to the actual funds from credit card payments is critical to a healthy cash flow. ACH transactions—as well as American Express payments—will typically take 3–5 business days to access actual funds, while most credit card payments will be available in 48–72 hours. It’s important to note that some processors will provide next-day funding for an extra fee or by managing your business account as well. So be aware of this possibility and ask questions. Jaimie Yun has more than 15 years experience across financial sectors of public accounting, corporate finance and more. She is on the advisory board of PayDemand.com, a credit card processing marketplace that allows businesses to compare multiple credit card processing rates and get the best offer while remaining anonymous to processors. Connect with Jaimie on Google+ and follow PayDemand on Twitter.